We’ve launched a Kickstarter campaign to raise money for the shoot in January 2019. Visit the campaign to pre-order and support: here. 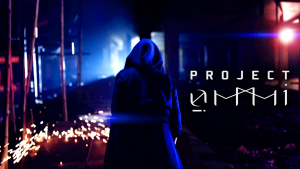 In return for your support you can get your hands on our official Project Ommi merchandise, including an AR activated T-shirt, Exo-arm prop and VIP tickets to the premiere!